As it is Friday and our minds wander to a leisure infused weekend ahead, it is always good to find some PC gaming news. Today there are not one but two good dollops of gaming sequel news ahead of E3 week; Hitman 2 has been officially announced, and Just Cause 4 has slipped into the spotlight thanks to a prematurely released advertisement. Hitman 2 is already available for pre-order via the official website or via Steam. The game summary is as follows; "Travel the globe and track your targets across exotic sandbox locations in HITMAN 2. 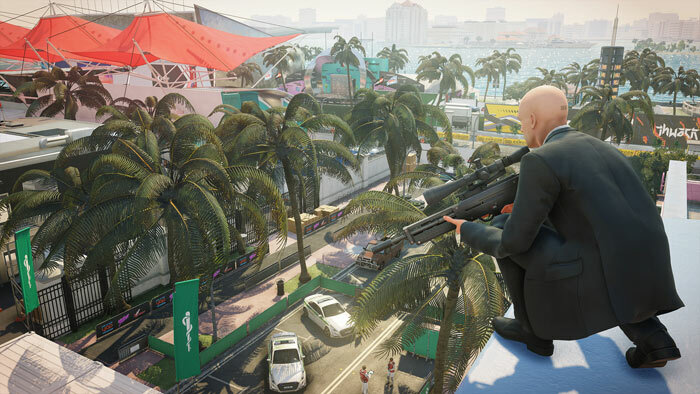 From sun-drenched streets to dark and dangerous rainforests, nowhere is safe from the world's most creative assassin, Agent 47." During the game's story mode you are promised a thrilling twist. IO Interactive promise those who already have enjoyed the previous games new ways to play, new modes and new features. A particular highlight will be the Sniper Assassin mode with online co-op play. Six locations are in the main game from day one, however there are plans for post-launch content which are yet to be revealed. IO wants to tempt you into pre-ordering with some bonuses, and there are silver and gold editions which bundle one or more in game accessories and promise future expansion(s). There is also a collector's edition in a gun case... In the UK the standard pre-order price is £45. Hitman 2 will be released on PC, Xbox One and PS4 on 13th November. Just Cause 4 from Avalanche Studios, and expected to be published by Square Enix, isn't exactly official. 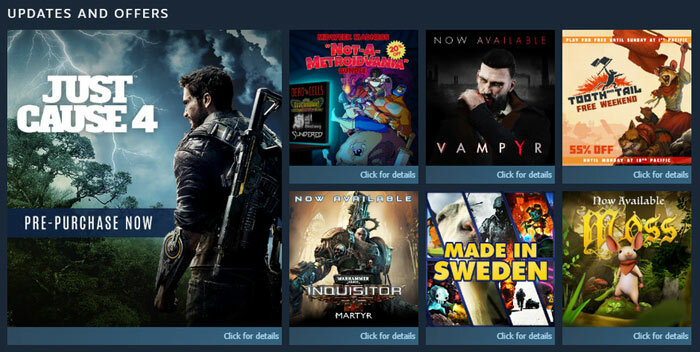 However the Steam advert is quite a solid sign of its imminent announcement. The E3 games show kicks off this weekend so perhaps it will be announced and be made available for pre-order during the event. In the image above, via Polygon, you can see what appears to be Just Cause series protagonist Rico Rodriguez overlooking a dark and stormy jungle scene. The banner 'Just Cause 4' is very clear to see, and those who see the ad are invited to "pre-purchase now". Just Cause 3 was launched back in 2015 and the new version of the game isn't likely to steer far from that game's groove. About a month ago Just Cause 4 was one of the many games titles leaked as being launched at E3 - via Walmart pre-order online listings.